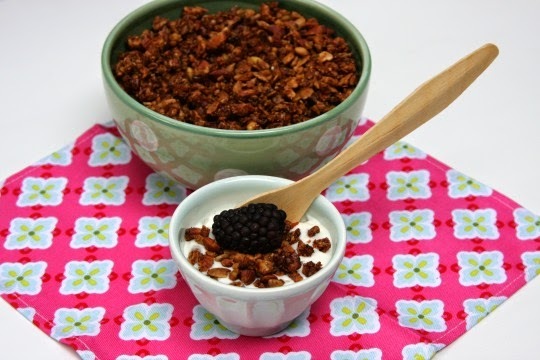 Yogurt and granola is one of my favorite snacks. I love to make my own granola, but I have always used oats as my base. You know how I LOVE my oats! 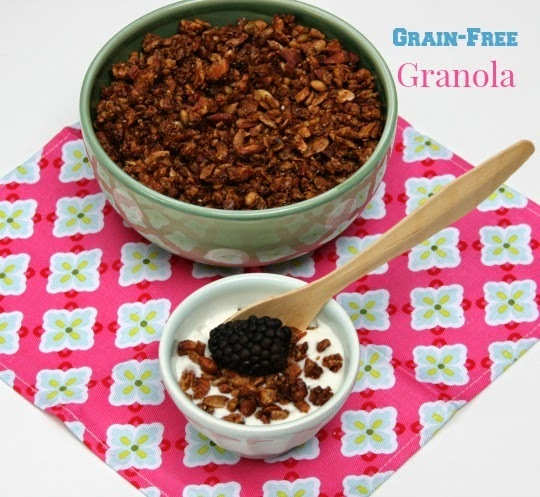 This recipe for grain-free granola had me intrigued, so I thought I would give it a go. pumpkin seeds, sunflower seeds and unsweetened coconut flakes. It is lightly sweetened with pure maple syrup and it is delicious! I didn't even miss my oats. 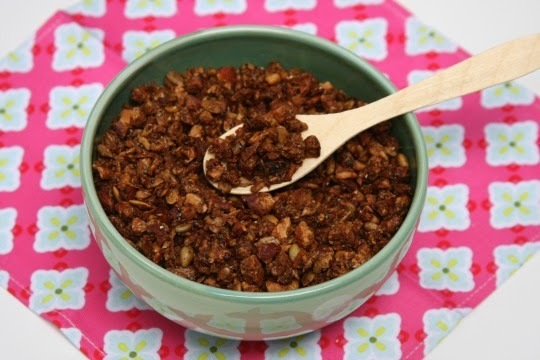 In a food processor, combine almonds, walnut, coconut, chia seed and flax seed. Pulse 4 to 5 times or until roughly chopped. In a small bowl, combine coconut oil, maple syrup, cinnamon and sea salt. Pour syrup mixture over the nuts; tossing until well covered. Spread mixture out evenly on your prepared baking sheet. Stir and bake for another 10 minutes or so, watching carefully so it doesn't burn. Place baking sheet on a wire rack to let the granola cool. My favorite is homemade meatballs.